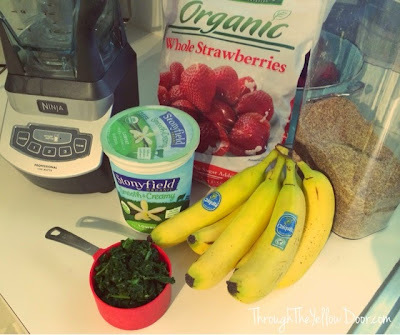 Healthy GREEN Smoothie You'll Actually WANT To Drink! If you've been reading my blog then you know I admit that I am a terrible eater and that I still have the diet of a 5 year old living in the processed food heaven of the 1980's. I'm old enough now to realize I'm probably never going to be overly excited about healthy foods (no matter how trendy it is to be an organic, healthy food junkie) but I also know that I need the nutritional benefits a healthy diet. I have motivation to improve my lifestyle and make it more of a healthy one; my husband and I have been trying to start a family for about a year now. 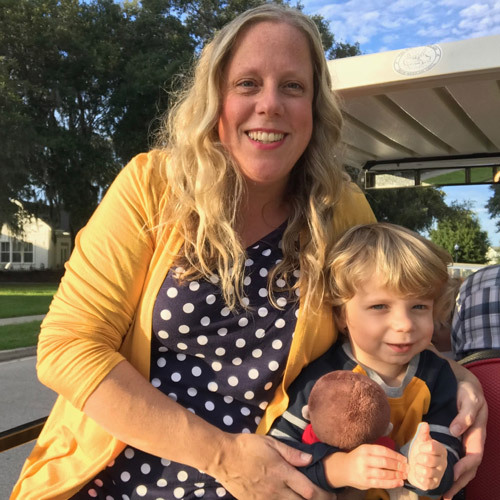 Getting pregnant has not been the issue, it's more a problem of staying pregnant, but I'm not sure I'm ready to share my entire story with the world quite yet. It's heartbreaking, never-ending and every time I try and discuss it the lump in my throat comes back and the tears well up in my eyes. I can't even control the swell of emotions, it just happens every single time I think about it. 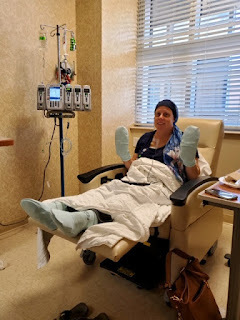 I'm getting close to being ready to tell my story with everyone, but in the meantime I'll send you over to this blog. She's pretty much living my exact nightmare right now. SO, in an effort to take those necessary steps towards finally achieving a successful pregnancy, I'm taking small steps in the right direction everyday. One of those steps has been improving my diet and incorporating more healthy foods and of course green vegetables (the devil!). I keep putting vegetables into regular recipes and trying to hide the flavor, which is not always successful. 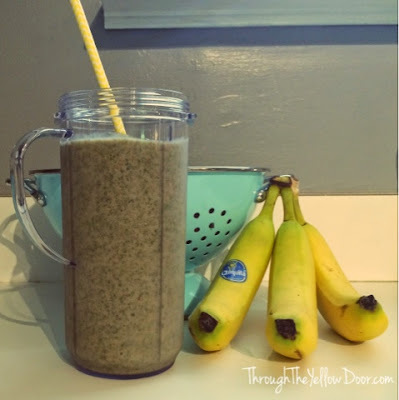 However, this simple smoothie recipe is a total winner! It has a cup of kale in it (why the world is so in love with this bitter tasting veggie is beyond me) but that flavor completely vanishes once you add the strawberries and bananas. I even put flaxseed in this thing because the internet says that is important for smoothies but I have no idea what it does, I just say it's "healthy baby stuff" LOL. 1.) Go ahead and try and remove as many of the stems from the kale as possible. 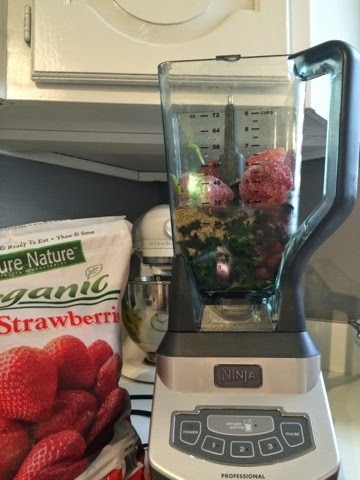 It's probably not really necessary if you're using a badass blender like the Ninja, but my warped brain is convinced the stems contain all the bitterness flavoring, so I removed them. 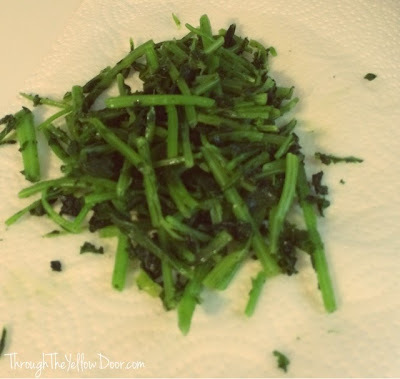 And whoa, there are a lot of stems from just 1 cup of kale, check it out! 2.) Add all your ingredients into a blender and blend your heart out! 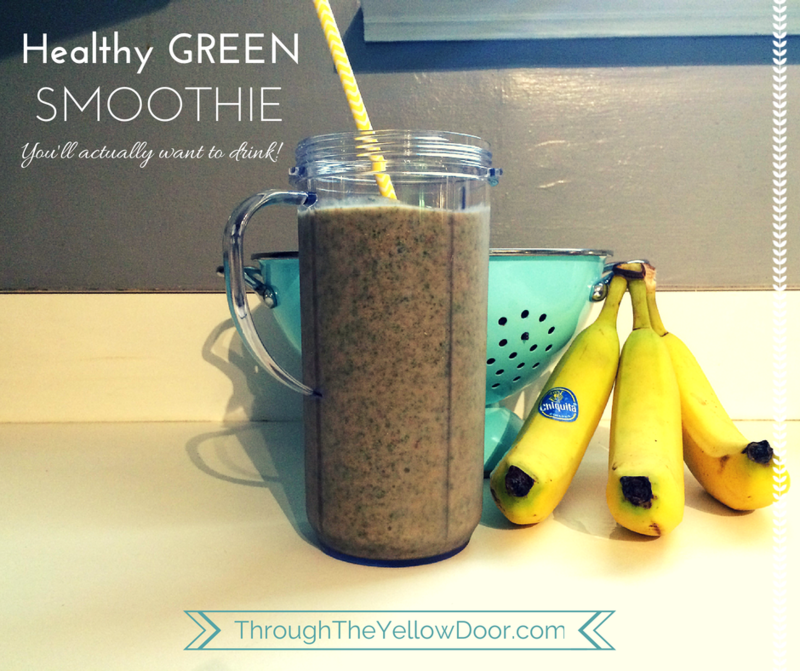 I don't like my smoothies too thick (I don't want to spoon anything green into my mouth! lol) so I add more ice and blend until it is thin enough to be straw-worthy! 3.) There is no step 3, just 2 steps. Step 3 is to actually drink the smoothie! I have made way too many smoothies in my life in an attempt to be healthy and I never quite like the flavor, this one is actually one I will continue to make, drink and enjoy!